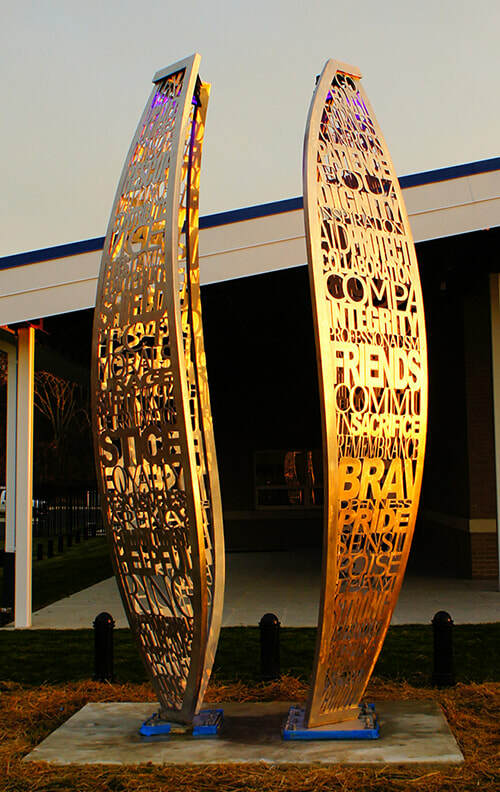 Accolades is a new public art sculpture for the District Vll Police Station. The artwork reflects the spirit and protective presence of the police service. 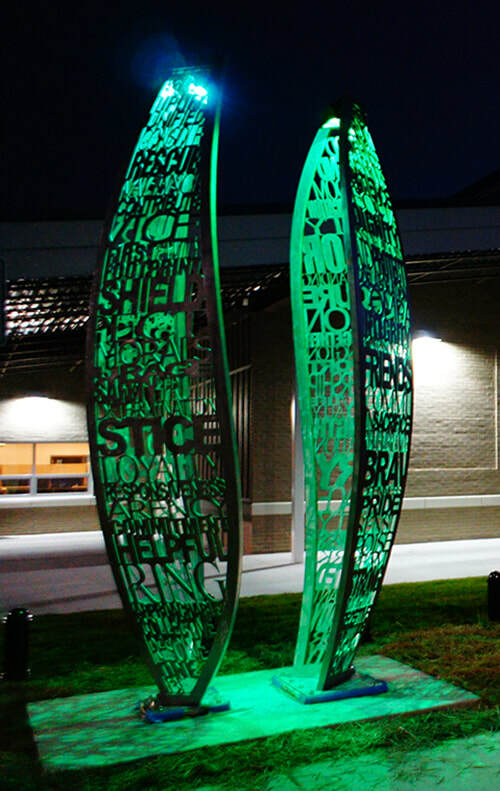 Composed of two distinct shields, or wings, this illuminated sculpture is a landmark for the community. 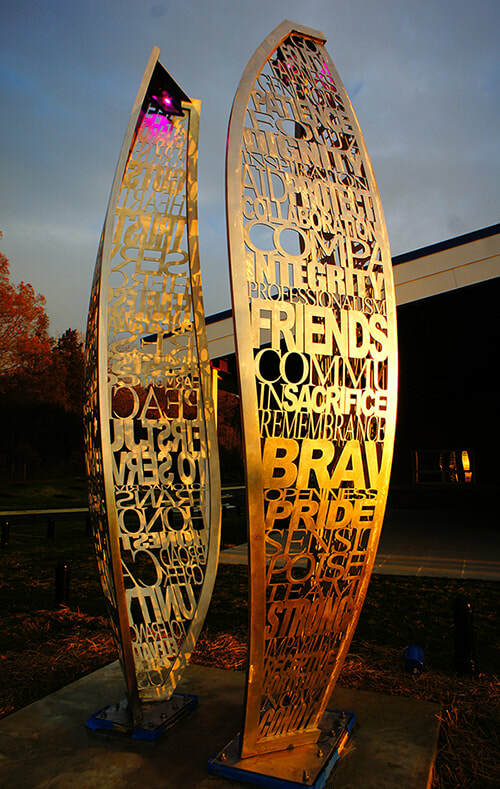 The sculpture is formed of text relating to honor, merit and service. Selected words were cut from steel and welded together to create the protective forms.